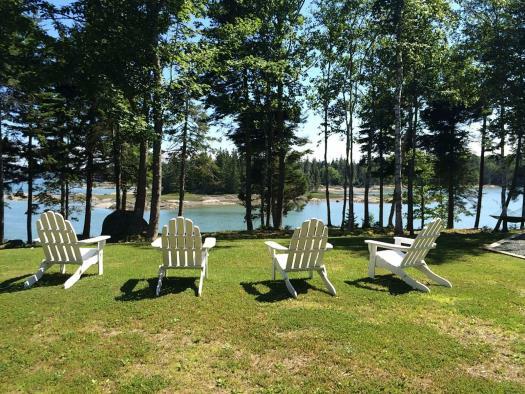 Dear Cove Retreat is a log cabin just feet from the shorelines of Long Cove in Deer Isle. 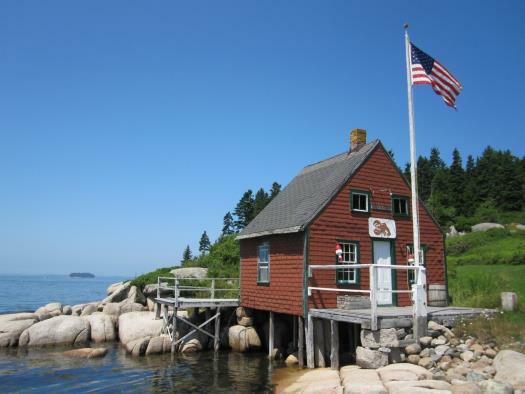 The cottage enjoys an open concept floor plan as well as a convenient central island location. 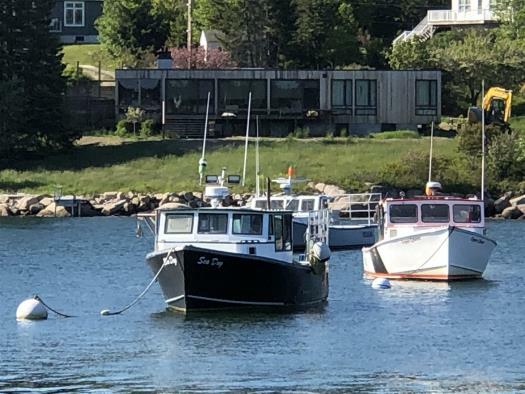 Pop over to Deer Isle village for a fresh pastry and cup of coffee at 44 North or slide down to Stonington village to catch a show at The Opera House, it's all easily obtained from this fun and scenic location. 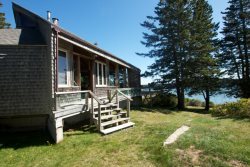 Dear Cove Retreat is a one bedroom, one bathroom cabin with a sleeping loft. The space is adorned with many fine details such as hardwood flooring, wildwood railings, fun furnishings and clean accommodations that show the homeowners love for the cottage. 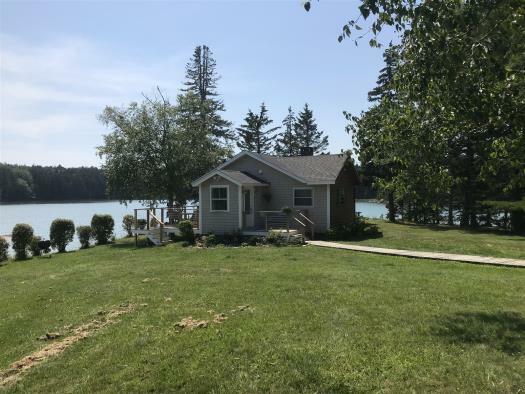 The main floor of Dear Cove Retreat features a fully-equipped kitchen to make preparing those seafood dinners a breeze, a dining area with four settings and a living area with a love seat-sized couch plus a comfortable arm chair. Dear Cove Retreat has one bedroom on the main floor of the cottage. This bedroom has a queen sized bed, a dresser and a homemade wardrobe closet. The cabin has a spacious full bathroom with a shower and tub combo. The sleeping loft, accessed by a space-saving spiral stairway, features a cozy space furnished with a full bed, dresser and end table. Dear Cove Retreat has a large back yard with some outdoor seating, including adirondack chairs and a hammock. Dear Cove has a covered, screened in porch with an array of additional outdoor seating options. 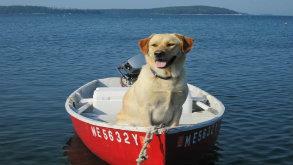 The water access is tidal but can still provide fun water activities for hours before and after high tide. There is a brand new set of stairs down to the water which makes launching the kayak provided with the rental a breeze. 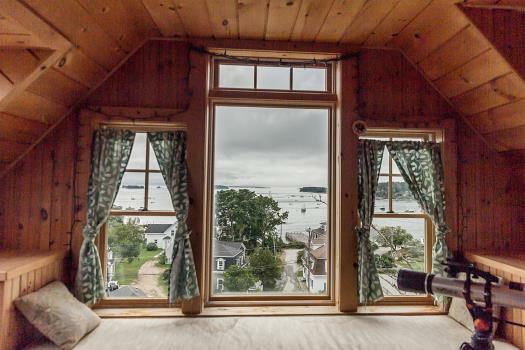 If you are looking for a sweet and comfortable seaside cabin on a scenic and picturesque island in Maine then look no further. Plan your Dear Cove Retreat vacation today!